Description NFC (near field communication) is a wireless technology which allows for the transfer of data such as text or numbers between two NFC enabled devices. The term NFC tag is commonly used for a passive NFC tag. 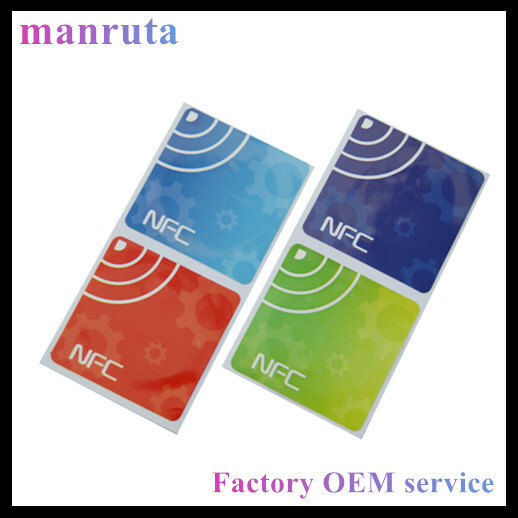 Examples of passive NFC tags are NFC inlays, NFC stickers, NFC Epoxy Tag,NFC wristbands and other converted NFC products. Aplication Data Transfer,Access control,Payment management,Customized,etc. Carft Single color or Multi-color Printing,Barcode or QR Code printing,Data encoding,etc.